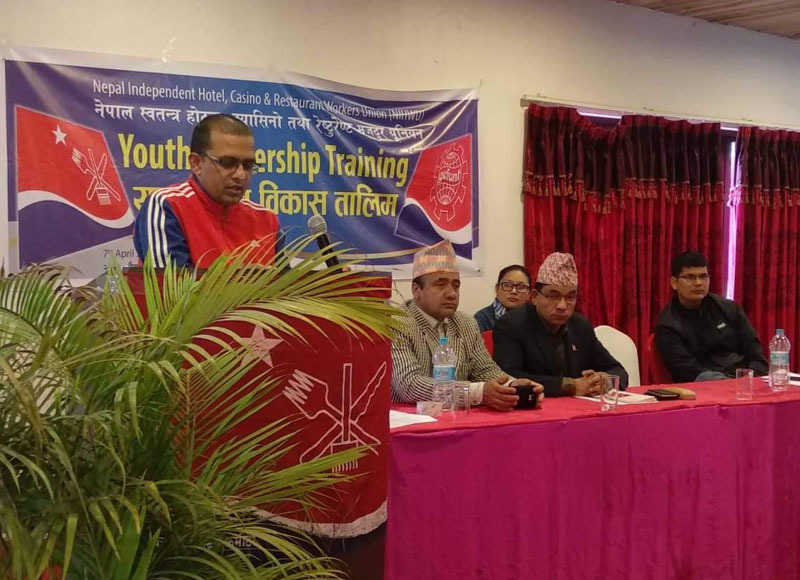 Kathmandu, NIHWU has organized youth training for youth members on 7 April 2019.NIHWU president Cde. Surya Kunwar, Senior Vice President Cde. Banshi Bhattrai & Cde. Laxman Tiwari facilitated the training session. On the occasion, President Kunwar has briefed about NIHWU history, Structure, Policy & Program.Likewise, Cde. Bhattarai briefed on contributory based social security & Cde. Tiwari has briefed on present labout law & regulation. Earlier, in the inaugural session of the program, NIHWU president Cde. Surya kunwar, Vice Presidnet Cde. Banshi Bhattarai, deputy secretary general & youth in charge Cde. Dinesh Ghimere addressed.